meantioned in the very beginning if they were honest & upfront and medically professional. Things just didn't seem right. And don't seem right with cyberonics for me. I felt like I was in a sales room right there at the neurologist office. It was very odd to say the least. I eventually did find the users manual on-line thanks to some people here on this site bringing it to my attention that there actually is such a thing as a users manual, at first I thought it was the brochure they mailed to me 3 xs. But nope there is an actual USER MANUAL. "READ it first" is what a rep should be saying! canidate for vns therapy.And given the time to go over this users manual with family and friends. Instead cyberonics seems not to want to disclose this user manual until AFTER surgery. And to my amasement there are many side effects to the vns listed in the users manual and things to be aware of that the sales rep didn't meantion and only said there was one when I asked her about side effects. if it didn't work and after reading the users manual Im too skeptical now. The misreprensentation of cyberonics and all the side effects just won't work for me. ole view. I know the rep misrepresented herself to me. That meeting with her was so very odd and unprofessional. A nurse should of been there, a caring one. could it be that's why there wasn't one there with the rep? because of the misreprentations? I did tell her it won't work for me & she seemed mad and wanted to walk right out the door but I said I will listen to you, since Im here. Now they keep calling me up but I don't answer their calls or respond. Every point you have brought up is what we have been trying to get people to see and understand. VNS may work great for about 1/3 of those implanted. But think about the 2/3 it hasn't helped. Now Cyberonics is using some very deceptive and clever marketing strategy, with the actual numbers of the 1/3 helped, making it look like over 60% to 80% are benefiting. Add to it the untold truths, the lies about side effects, now would you trust a company that plays with your life like that? I like I said before, Had I known then what I do now, I would have NEVER been implanted. Some people feel the risks are worth it, and then they find their way here when problems begin. You have chosen, against vns and I applaud you for researching. Not everyone does because they trust their doctors. Money makes even the best doctors lack better judgement. VNS should be use ONLY as a LAST RESORT and placed ONLY in adults who are able to communicate. The FDA has failed in protecting the public from this device and has failed in managing the actions of Cyberonic$. We're all glad you came and joined our board, You are welcome to stay. 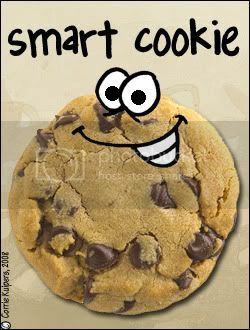 You're one smart cookie! If everyone at the FDA is bombarded with our complaints about Cyberonics maybe they will wake up and start doing something about it. Don't be afraid to use every FDA email address you can get your hands on, from the Commissioner on down. I do this myself about twice a year. The more they hear about Cyberonics the better. We already know MAUDE is just a "feel good" depository for reports that are never read so this is the only way to make our voices heard. Let's get to it folks. Make sure to use Cyberonics as the subject of the email so if they trash it at least they will be seeing the name Cyberonics.